Whisper to a Shout, the team and I had three weeks re-design the weyell.org website for web and mobile use. 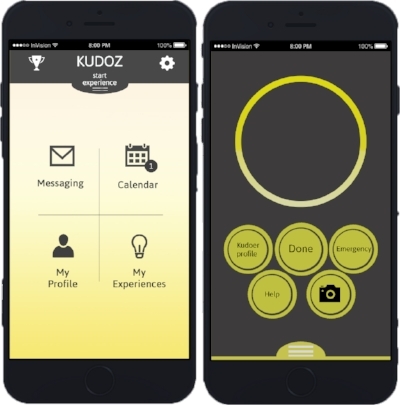 Kudoz is a non-charitable learning platform for the cognitively disabled. It has a website, texting service and an app for the Kudoers (the disabled). However, there is no app for the hosts (the teachers). The current flow of Kudoz works and is live, however is flawed due to the need for hosts to use multiple devices (I.E. desktop, Email, Text). 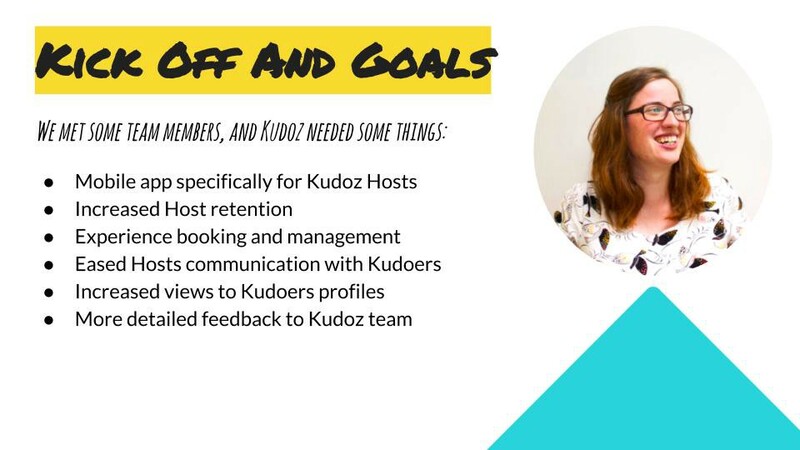 My team and I had three weeks to research, plan, design and test a prototype mobile app built solely for the hosts of Kudoz. After meeting with our correspondent Andie, we found she was a host as well as a member of the Kudoz staff. We put on our design hats on and unloaded our questions, we wanted to know what makes a Kudoz host tick. What she said here was in line with what the other hosts said in interviews. We also conducted a contextual inquiry where we were our user! This was the highlight of our research, for it was one thing to listen to a user to list these problems, but another to feel the frustrations first hand. The testing in low-fidelity ironed out the majority of our design flaws. In turn, our medium fidelity designing and testing were very straightforward. At this point, we were able to effectively test with the real end user. Testing with real hosts was the most rewarding part of the whole project. The feedback was not only the most valuable part of our design but the positive remarks were the most reassuring moment we had yet as young fresh designers. Watching the users fly through the prototypes and renditions without any major snags was a huge win for the team as students of the trade.